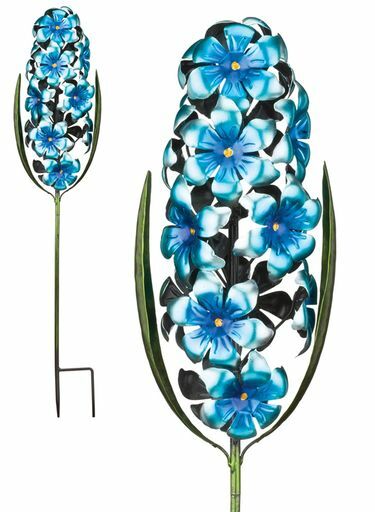 Add charm and flair to your backyard, flower beds, and patio walkways with our vivid Blue Hyacinth Flower Stakes! Crafted using weather resistant metal painted in classic colors. Group several together to make a bold color statement. Available in four styles: Blue, Pink, Purple and Yellow. Size: 7.5" x 30"H., Metal.